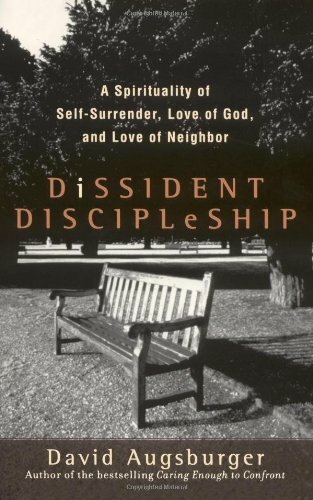 The next discipline explored in Dissident Discipleship is what Augsburger calls Habitual Humility. Habitual Humility “is the primary evidence, the undeniable sign of Christian discipleship. Humility is the sincere concern for the good of others balanced with simple gratitude for the gift of ones self, shown in a genuine willingness to serve the neighbor and heard in the gentile laughter of self-effacing humor” (p99). The spiritual discipline of Habitual Humility requires a proper view of God and the relationship He extends through Jesus Christ. As the believer develops an abiding faith in Christ and a healthy, spiritual perspective of what God has accomplished on our behalf through the cross and resurrection of Jesus, humility in our lives lived before Almighty God is revealed in every facet of who we are. Humility is a sign of maturity. And is reflective of a healthy approach to the Gospel message. Habitual Humility is easily evident in our perspective of faith and within the relationships with others (especially those with whom we disagree). Do we love our neighbor? Do we act justly? How do we see the poor? Do we love mercy? Are we a people identified by mercy? Do we walk humbly with God? Only when we fully grasp the love of God revealed in Christ and the fullness of the relationship that God extends, will our continual response to Him and to others be as it should be: a lifestyle characterized by humility, and a yielding to Him so that His glory may be evident in us.